Children of 2 Pakistani nationals asked for EAM Sushma Swaraj's help on Twitter, and she tweeted that their parents will be given visas for undergoing liver transplant surgeries in India. "We are giving Visa for your father's liver transplant surgery in India," Swaraj said on Twitter. 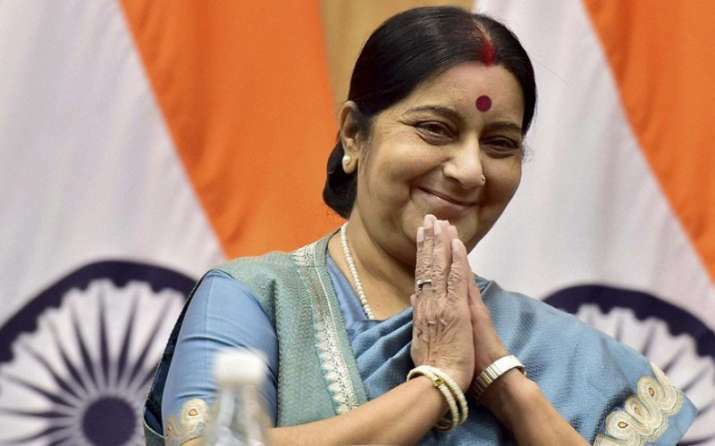 Continuing her humanitarian gesture, External Affairs Minister Sushma Swaraj on Friday announced that two Pakistani nationals will be given visa for undergoing liver transplant surgeries in India. The minister said that she has asked the Indian High Commissioner in Islamabad to give visa to Naseem Akhtar, a Pakistani woman, for her liver transplant surgery in India. Swaraj's intervention came after Akhtar's son requested for her help. "I have asked Indian High Commissioner to give Visa for your mother's liver transplant surgery in India," the external affairs minister said in a tweet. Swaraj said another visa was being granted to Pakistani national Shabbir Ahmed Shah who also required a liver transplant surgery. "We are giving Visa for your father's liver transplant surgery in India," she said on Twitter. Shah's son Ali Asadullah had earlier requested Swaraj on the social media platform to issue visa to his father for his treatment in India. Swaraj has been sympathetically considering medical visa applications from scores of Pakistani nationals not withstanding strain in the relationship between the two countries over a host of issues, including cross-border terrorism in Jammu and Kashmir.